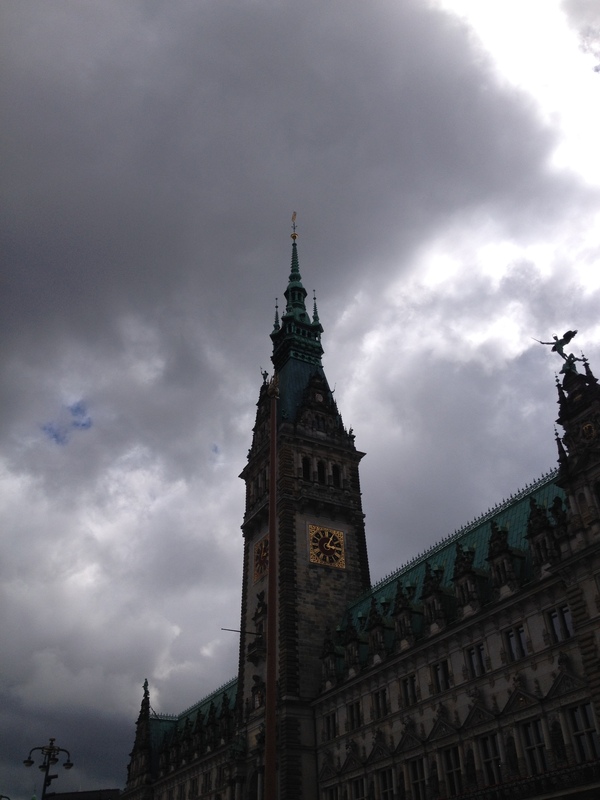 The weather is not the nicest, but the city is. Das Wetter ist zwar nicht schönste, aber die Stadt ist es. 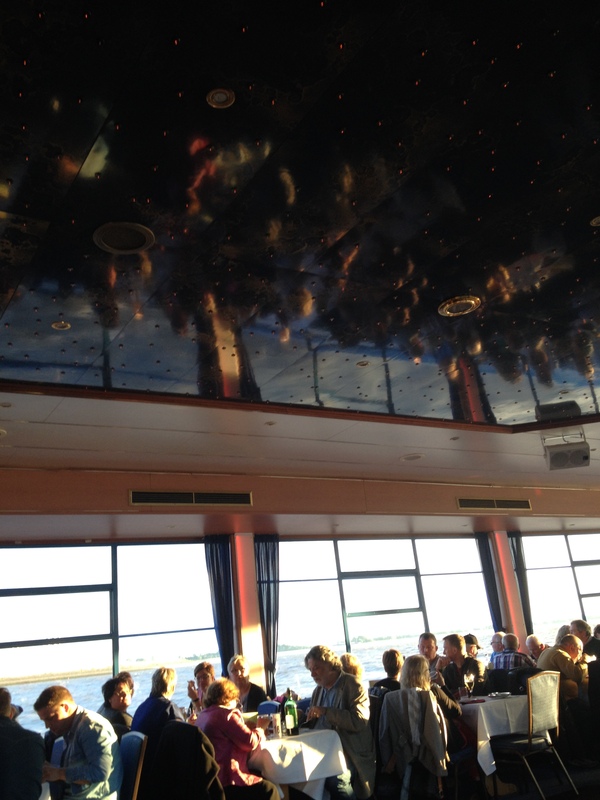 Spent the day with friends around Hamburg and in the evening on a boat trip. Lovely! Habe den Tag mit Freunden in Hamburg verbracht und abends eine schöne Schifffahrt gemacht. Herrlich. 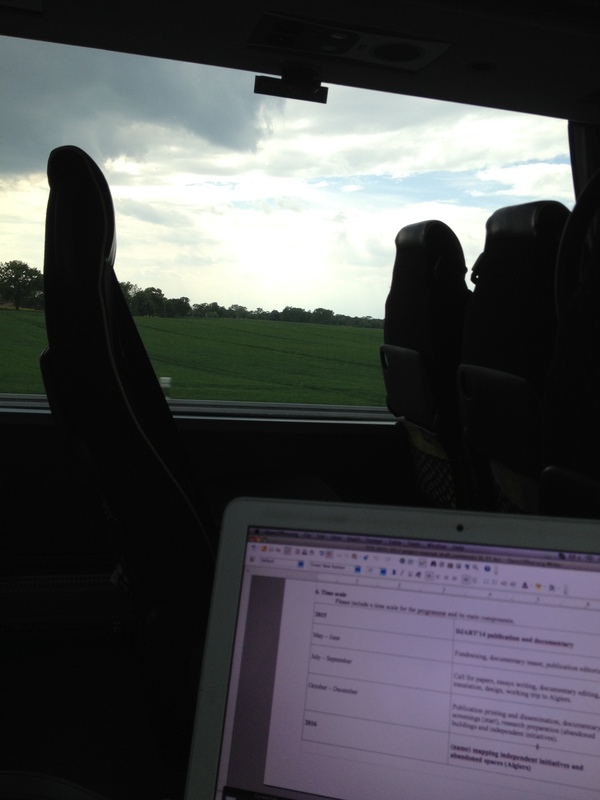 I am on my way to Hamburg to spend the weekend there and seized the great Postbus Service to work on an application for funding for the TCD project and to have a skype meeting. Out of respect for my fellow travellers I wasn’t talking but listening to the others. Every now and then I had to laugh out lout though. Ich bin auf dem Weg nach Hamburg und habe die sehr guten Service des Postbusses genutzt, um bei einer Skype Konferenz mitzumachen und weiter an einen Finanzierungsantrag für die TCD zu arbeiten. Um meine MitfahrerInnen nicht zu stören, habe ich zwar bei der Konferenz nur zugehört und nichts gesagt, aber manchmal musste ich wirklich laut loslachen. 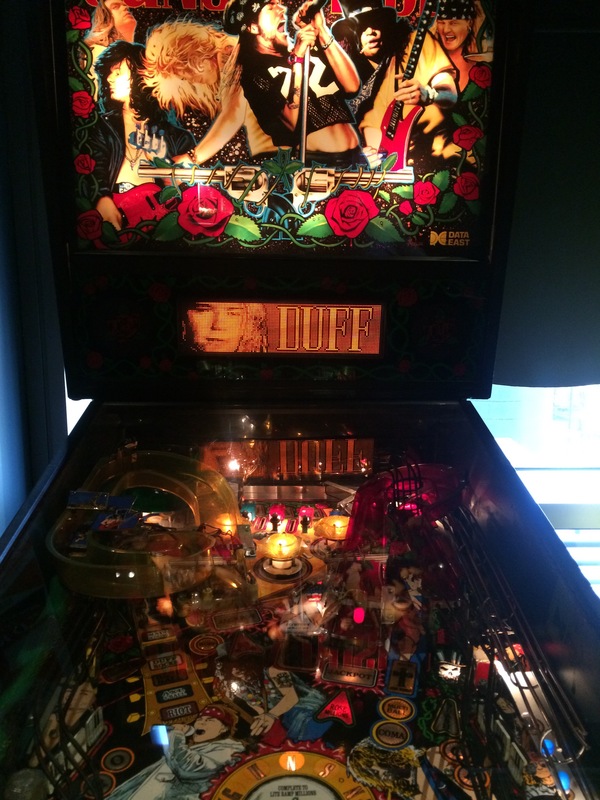 Look what I came across: a Guns n’ Roses pinball machine. Spotted at Beer and Buns, a beer and food pop-up close to Liverpool Street. Gn’R, great food, beers and futbolin, my kind of place. I had a splendid time. It was a school night so need to go back on a Friday. My mates ended up playing pictionary on the chalkboard walls. He looks like Vincent Van Gogh. 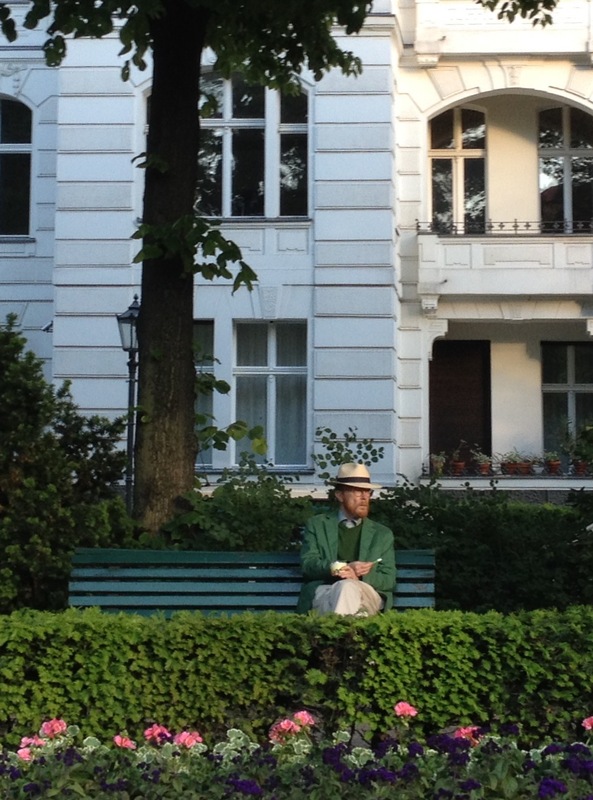 Seen at Viktoria Luise Platz, Berlin – May 2015. Er sieht wirklich aus wie Van Gogh. Gesehen am Viktoria Luise Platz, Berlin – Mai 2015. Even it this is a short week it started very busy with office, writing application, budgeting. 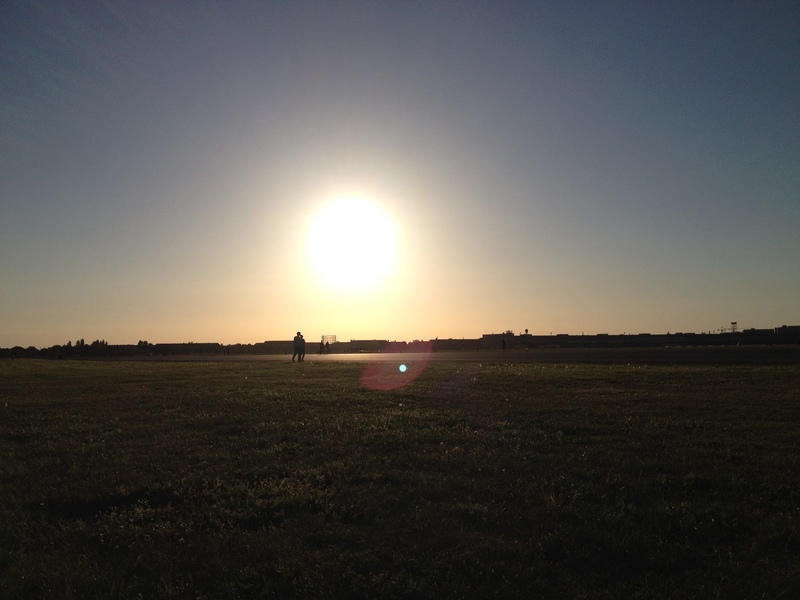 Best way to get over it is by remembering the feeling of peace while resting at Tempelhofer Feld last Sunday. Very glad that the referendum last 25. Mai 2014 clearly expressed that society had no interest in having the areal built-up. Selbst wenn diese Woche sehr kurz ist, hat sie doch ziemlich geschäftigt angefangen: Büro, Finanzierungsanträge schreiben, Budget erarbeiten… Am besten kriegt man den Tag rum, wenn ich an die Ruhe denke, die ich gespürt habe, als ich Sonntag auf dem Tempelhofer Feld sass und die letzten Sonnenstrahlen genossen habe. Sehr froh, dass der Volksentscheid am 25. Mai 2014 sich deutlich gegen eine Bebauung des Geländes ausgesprochen hat. Leave the hip people behind you, forget Berghain, Karneval der Kulturen or the Flohmarkt. 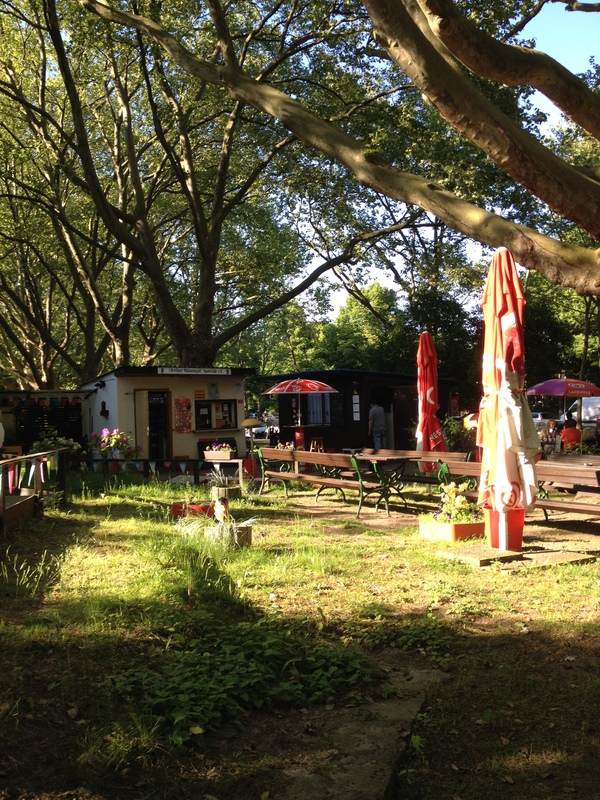 If you around Neukölln just take your bike and after 10 minutes, you will arrive in Britz, a locality of the borrough of Neukölln, but which couldn’t be more far away. At some point I felt we were in any small town in Germany. 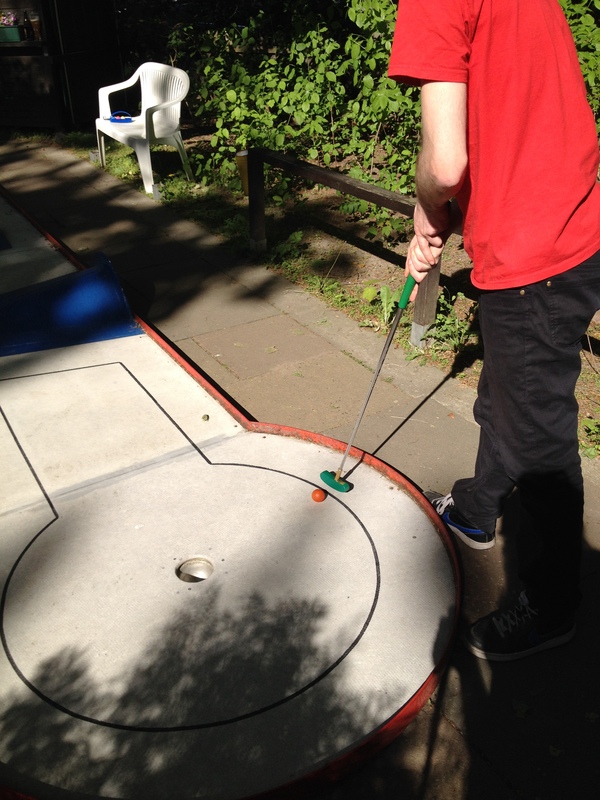 The reason for us going there is because I have been wanting to play some mini golf since ages, and here it is, my personal heaven, Minigolf Britz, a small, old mini golf course run by two lovely Berliner and with very particular visitors. 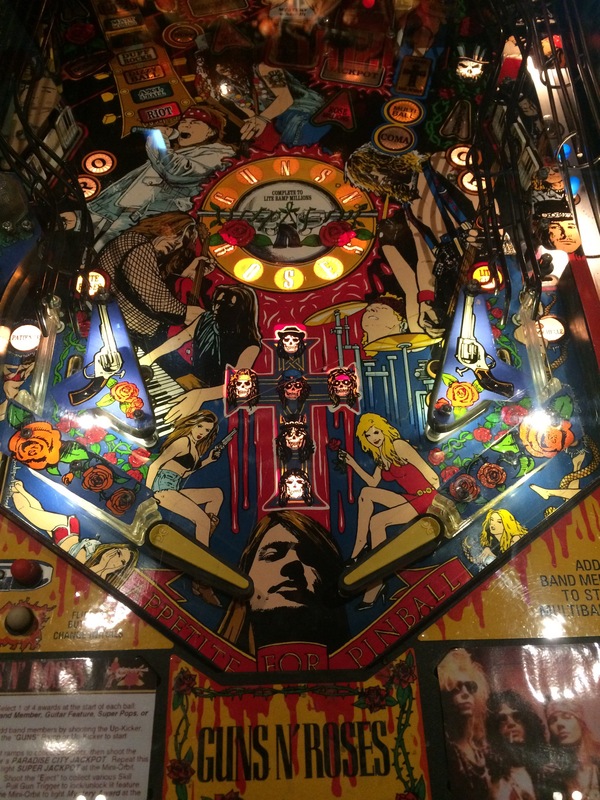 It is cheap, it is fun, and I won.